Edinburg North and Edinburg Vela meet in Week 5 as each team begins its District 31-6A slate in The Monitor’s Game of the Week at 7 p.m. Thursday at Richard R. Flores Stadium in Edinburg. The matchup is particularly meaningful for one player: North junior running back Cristian Flores. Flores carried the ball 129 times for Vela last year, amassing 984 yards and 11 touchdowns. After the season, Flores transferred to North. Flores’ teammates, including longtime friend and North junior quarterback Frankie Zuniga, know the Week 5 game has added meaning. North coach Rene Saenz acknowledged that there may be some added excitement. The teams share a common opponent in Brownsville Veterans, and the results were similar. In Week 1, North got off to a hot start against Vets, but the Chargers used a late comeback to win 39-21. In Week 3, Vela and Vets were tied at 20 after three quarters, but Vela used a 14-0 fourth quarter to secure the win. Undefeated Vela has been climbing in the RGVSports.com Top 10. After opening at No. 7 in the preseason, the SaberCats jumped to No. 5 in Week 2, No. 4 in Week 3 and have been at No. 3 ever since. North suffered narrow losses in the first two weeks, but to quality opponents. In Week 3, the Cougars finally broke through for a signature win, topping Harlingen South 18-0. That win came at a cost, though, as North lost Zuniga to a broken clavicle. Sophomore Izaiah Rangel was the player that Saenz had been grooming to be “the future at the quarterback position,” so he will be stepping in to fill the void left by Zuniga. Rangel was a top receiver for the Cougars before the switch, ranking sixth in 31-6A with 182 receiving yards on the season. Flores will also be a big factor in this matchup. He got off to a slow start at North but has been coming on of late. In Week 1, he managed only 35 yards on 11 carries without a touchdown. In Week 2, the numbers were similar (11 carries, 38 yards), but he broke through for two touchdowns. Week 3 was Flores’ best performance so far. He carried 15 times for 84 yards and a touchdown. Vela’s offense runs through senior quarterback Nathan Garcia. Garcia has been getting more comfortable in new coach John Campbell’s offense. His completions have improved in each game, from 10 to 15 to 18. 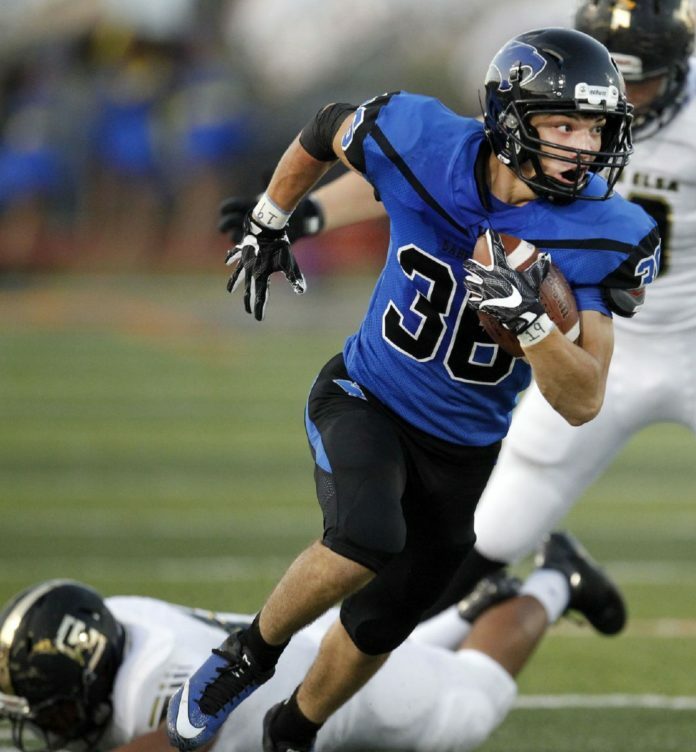 Junior Aaron Alvarez has emerged as the SaberCats’ leading rusher, compiling 108 yards on 27 carries. He also has five touchdowns, leading 31-6A in scoring. Despite all the hype and significance, Saenz is sure that no matter how the game plays out, the Cougars are headed in the right direction.